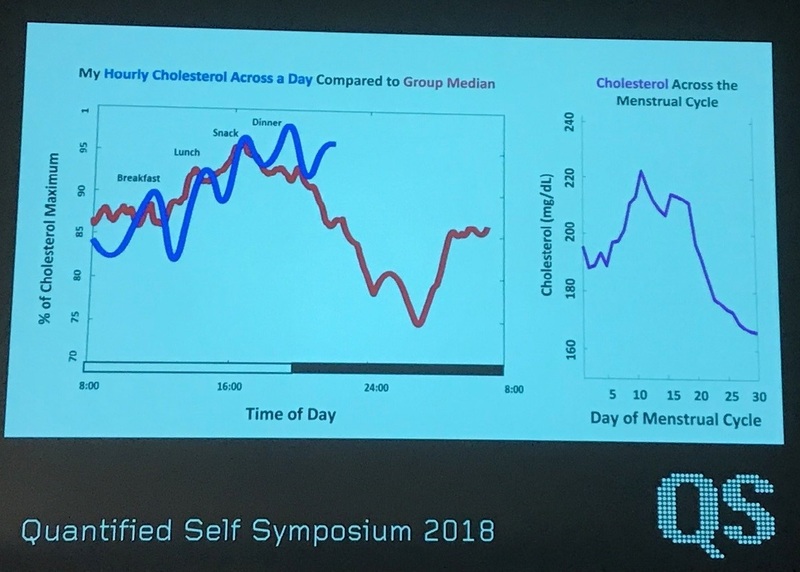 There is a striking circadian rhythm in cholesterol levels (measured every hour), unrelated to food. There is a marked variation in cholesterol (measured daily) over the course of a menstrual cycle. Body temperature shows a complex, reproducible variation over the course of the day, with both circadian and shorter cycles. Triggers of atrial fibrillation are now being illuminated through self-tracking of thousands of individuals wearing Apple watches. Interesting indeed, but a potential hazard for people with health anxiety obsessed with their body functions. Every technology has the potential for abuse in the hands of the wrong person. But there is SO MUCH greater good that can be generated here. I work as a nurse in research of rare pediatric diseases. Our patients ask us questions based on their anecdotal experiences that we can not can not answer ALL the time, but research dollars never get to these lower priority questions. Why not empower patients to collect real data that might be evaluable? I am not necessarily talking about just n of 1 experiments but n of 5-10. I believe this is a real untapped opportunity — patients sharing data in order to learn not just about themselves but about health and disease in general. There is a great reservoir of useful information about natural history, response to treatment, connections among conditions, etc. etc. that can never be fully addressed by conventional investigator-driven research. Doctors (good ones!) have always tried to learn from their patients, and this is the new way to do so.